We're starting the new year with a beautiful addition to our collection! After receiving so many requests for kitchen splashbacks with images of natural stone, marble and other materials such as wood, we decided to build a collection of them. The trends of this moment are included and will be regularly updated with new 'Looks'. 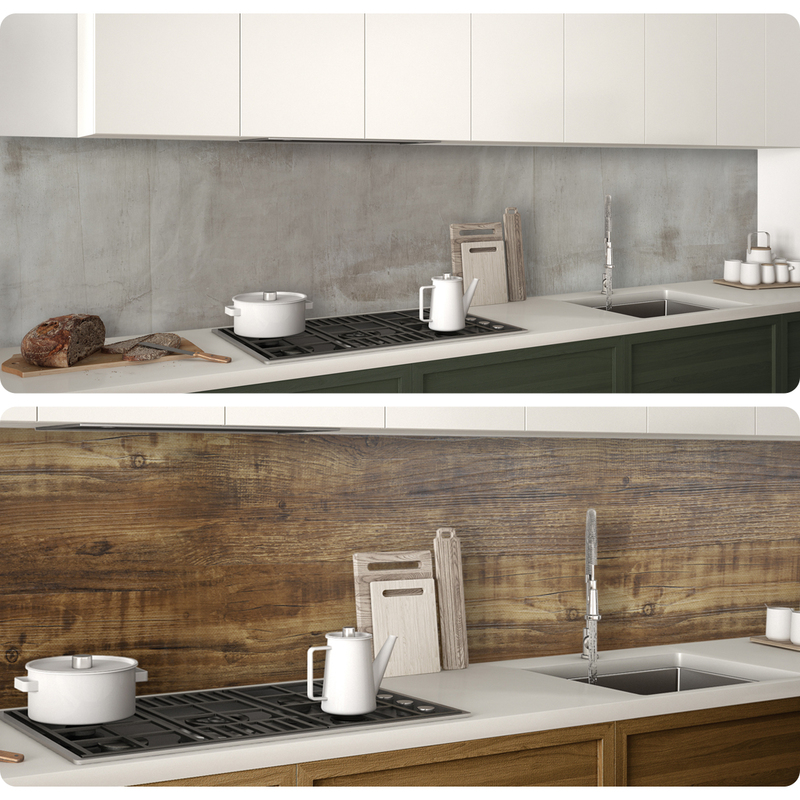 It's the trend of this moment, an industrial and raw look in the kitchen, where unprocessed materials fit perfectly. 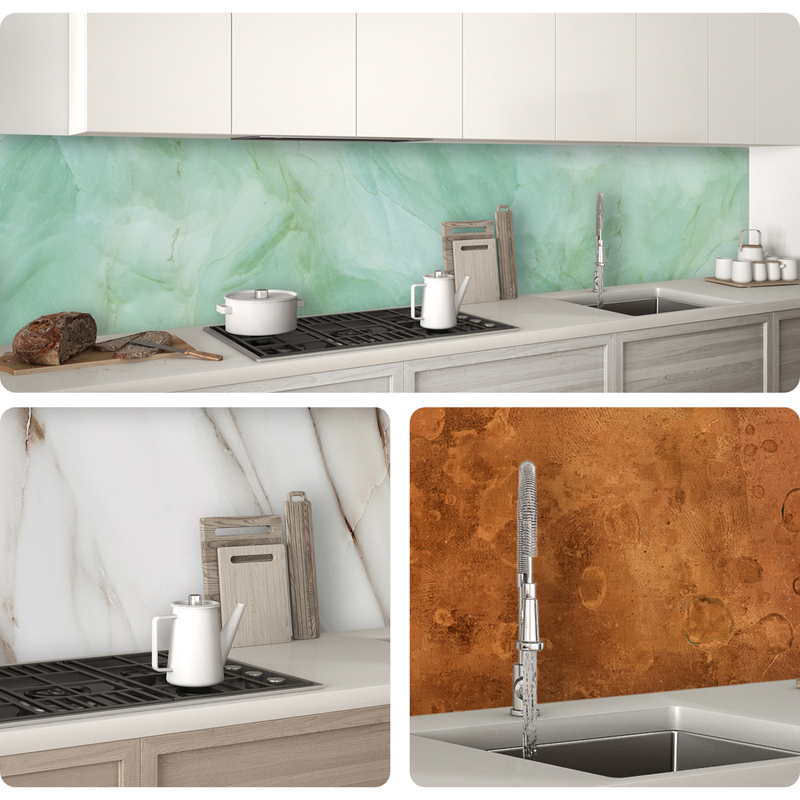 In addition, these splashbacks are timeless and it's very easy to create a completely different look with other accessories. If you opt for a light design, such as our 'Concrete Plaster Light' or one of the marble images, this will also give a very spacious effect in your kitchen. Because our materials can be installed by you and are super easy to clean, you do get the look and feel, but not the high costs or intensive maintenance that you have normally. Also check out Pinterest for more ideas. Do you find it difficult to choose? We will gladly give you personal advice! If you send us a photo of the kitchen, we can focus on your wishes and design a new look that will give you years and years of pleasure! If you are curious about our materials, you can order samples and view them at home before you make a decision. Which 'Look' do you fancy for your kitchen?